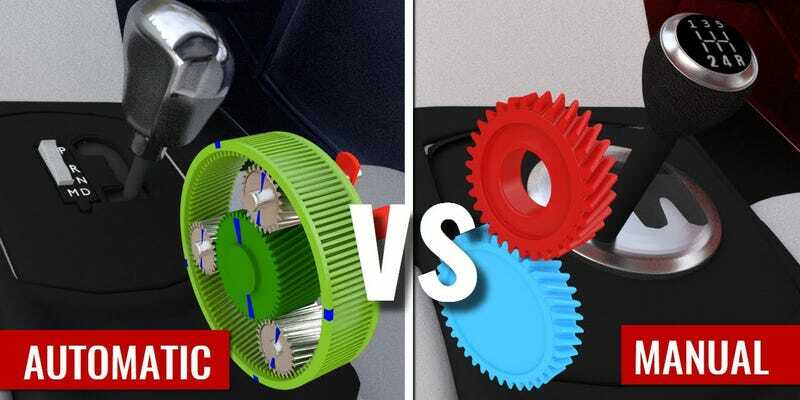 We already know which one is supposed to be more “fun”, but what do the innards of manual and automatic transmissions look like? How do all the parts to together? This delightful video, nearly eight minutes long, is an excellent visual explainer on how both transmissions work and how they are different from one another. If you’re a visual learner like I am, this is a real treat. It’s also a good primer on why internal combustion engines need transmissions at all. The automatic transmission gets a bad rap among enthusiasts, but it’s a technical marvel even today, and modern ones keep getting better and better. That’s not to say a manual gearbox isn’t equally amazing, as you’ll see here. Did we learn anything today, kids?